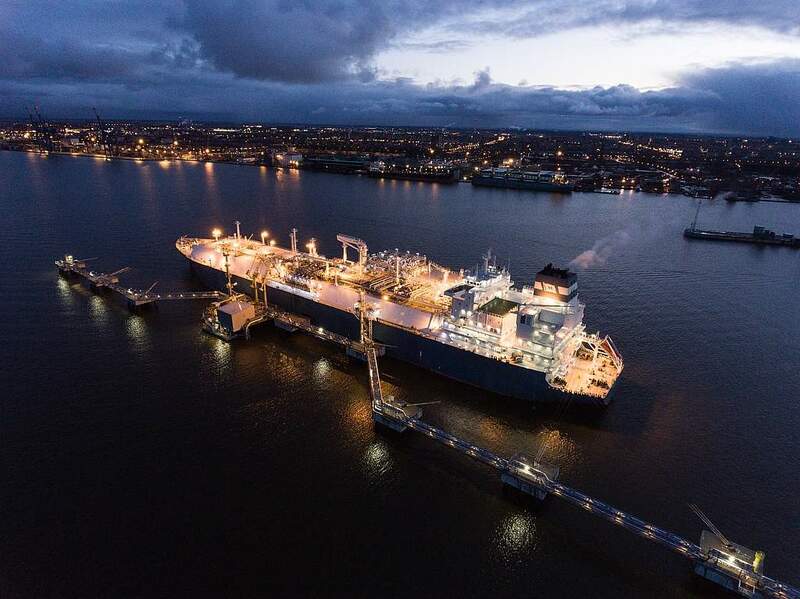 GlobalData’s report, H2 2018 Global Capacity and Capital Expenditure Outlook for LNG Regasification Terminals – Asia to Dominate LNG Regasification Capex and Capacity Additions states that the global liquefied natural gas (LNG) regasification capacity is expected to grow by 48% during the outlook period 2018–2022, from 43.7 trillion cubic feet (tcf) in 2018 to 64.6tcf by 2022. 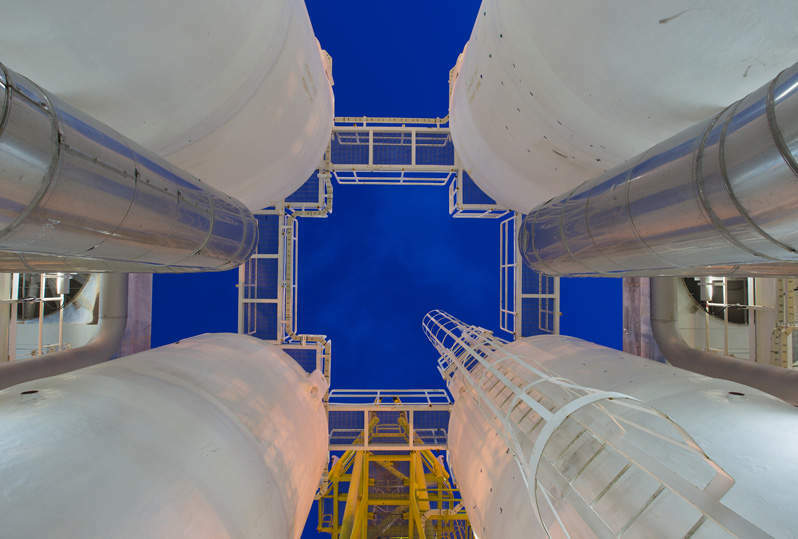 Among regions, Asia continues to lead in terms of planned and announced regasification capacity growth, contributing 62% of the total global growth. The region is expected to add around 12.4tcf of regasification capacity by 2022. The Middle East and Europe follow with capacity additions of 2.3tcf and 1.8tcf, respectively. Among countries, India leads globally with 5.2tcf of regasification capacity additions by 2022. China and Bangladesh follow with 2.3tcf and 1.6tcf, respectively. In terms of new-build capital expenditure (capex) outlook for planned and announced regasification projects during the period 2018–2022, Asia again leads with proposed capex of $49bn. Europe and the Middle East have almost equal capex of $6bn each, to be spent during the outlook period. 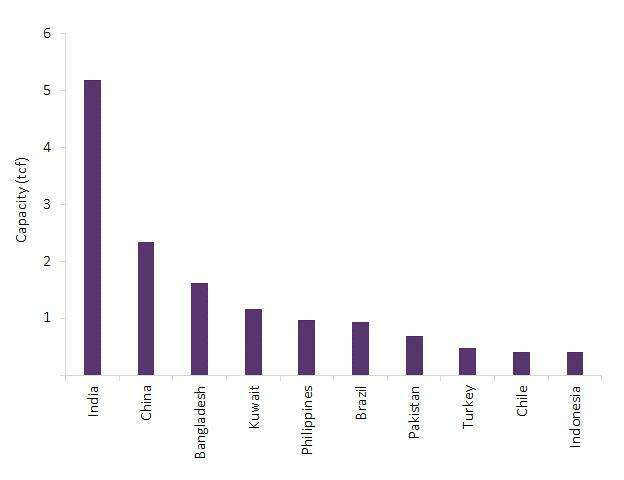 Among countries, in terms of new-build capex during the outlook period, China, India, and the Philippines lead globally with $18.5bn, $6.8bn, and $5.9bn, respectively. Among companies, Kuwait Petroleum Corp, Bangladesh Oil, Gas and Mineral Corp, and China National Offshore Oil Corporation have the highest planned and announced LNG regasification capacity additions globally by 2022, with capacities of 1,155 billion cubic feet (bcf), 910bcf, and 684bcf, respectively. In terms of capex, China National Offshore Oil Corporation has the highest new-build capex of $5.4bn to be spent on new-build regasification projects in the outlook period. Shandong Hanas New Energy Co and Kuwait Petroleum Corp follow with $3.4bn and $3.2bn, respectively.